Google today said it wants to help people resume incomplete or old searches. The company is taking a couple of steps to make this happen. To start, it will surface new activity cards to help people pick up where they left off. For example, when revisiting old queries users will see a card that highlights the pages they've already visited in addition to related searches. Google says it will only show this card when useful. People will have full control over the tool, meaning they can wipe their search history, the results, or delete the cards altogether. Google says this will be available later this year. Another tool called Collections is headed to Google Search. This will help people lump together the results they've visited over time so they can return to them and keep track of, or organize content for revisiting. Google will add content suggestions to Collections in an effort to help people explore topics further. 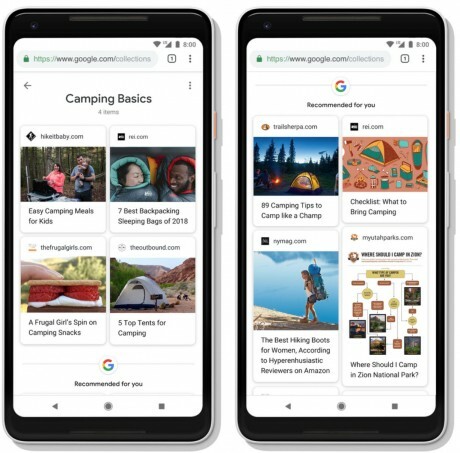 Main topics won't be the only results displayed, as Google plans to add subtopics with more granular information. Google says this feature will learn over time and should be able to refine results. In order to power all these changes, Google has added a new layer to its Knowledge Graph, called the Topic Layer. This new layer understands topics and generates hundreds of thousands of subtopics, which help identify the more relevant information. Google is still testing these changes and will roll them out when ready. Google today said it is taking a more proactive step to notify users when there is new account activity. Specifically, Google will send push notifications to Android devices associated with an account every time a new device is added to the account. Google today revealed that a small system update will reach Wear OS-based devices over the next few months. Wear OS Version H focuses on fine-tuning battery performance.